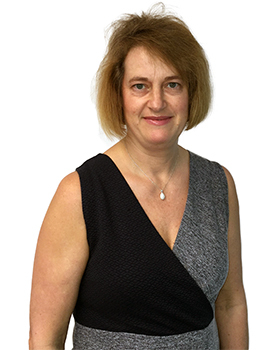 Susie has worked in quite a few places including the Ministry of Defence, CRGP Ltd & NFA in all sorts of administration roles such as a PA, Bookkeeper and Events Administration. She liked working with events the best and decided to apply for the Events Administrator job at EVH. Having lived all over the place due to her husband’s job she enjoys travelling but not moving house every 2 years and has now settled in Paisley. When she has some spare time she enjoys baking and spending time with her family. Kim started her HR career over a decade ago. After graduating she worked for the Richmond Fellowship, Motherwell College and Skills Development Scotland. 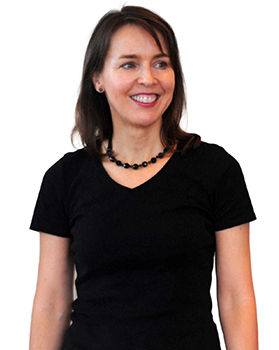 Kim thrives on working in a fast-paced environment and very much has the energy to match it. Being a morning person, much to the annoyance of her husband, means she pretty much has a smile on her face and likes to chat from the get go. She tries to channel her energy into keeping fit by going to classes like Insanity (don't even ask) and Metafit. This does make her feel better about socialising at the weekends…everyone knows if you exercise, the calories don’t count! Agnes worked for many years with Glasgow City Council on a variety of roles - event organising, marketing, administration, secretarial, advertising – the list goes on. She left the Council in 2013 with hopes of becoming a “Lady That Does Lunch” but after a year of finding herself busier than ever she was lured to EVH in 2014 with the promise of a lunch break. A bit of an all-rounder the Corporate and Events Co-ordinator role is perfect for utilising her skills. She enjoys walking, travelling and meeting new people and has walked the Great Wall of China, the West Highland Way and the KiltWalk for charity – the perfect way to combine her hobbies while raising money for good causes. Proud to be a Paisley Buddy and EVH’s longest serving part timer, Susan leads our absolutely fabulous recruitment team, in delivery of extensive recruitment services. Before Susan stumbled into social housing and the voluntary sector decades ago, Susan bustled the day away in psychology and human resources, in financial services, retail, aviation, farming, health and catering. 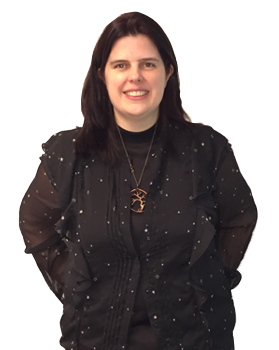 A self confessed jewellery lover who’s passionate about chocolate, gardening, employability, oh and Ewan McGregor too, Susan excels at juggling and is often to be found travelling around the country, whether on business or leisure with family and many friends. Having started her career in HR, firstly at Yorkhill Hospital and then at Cardonald College, Rae found that she really enjoyed the recruitment side of HR. So was quick to apply for the role dealing with recruitment for member organisations with EVH when she saw the job advert back in 2002. Rae began working part-time following her maternity leave in 2006 and continues to do so, spending time with family and volunteering as a children's panel member when not busy at EVH. She also co-ordinates our fundraising for CHAS and EVH Christmassy things! After way too many years working in the music industry, Lorraine found her career was lacking soul (well, maybe except for that day she got to meet The Godfather himself). She knew her next employer had to be one that made a difference to people’s lives, not the bank balances of the super rich. A decade on from joining EVH and she’s still passionate about the services provided to members and the enthusiasm of the team she works with. She maintains a complete disinterest in core HR advice but can be found with her nose in pretty much every other area of the business. 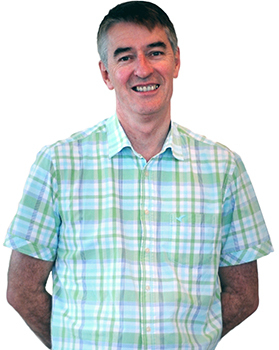 Archie is the latest addition to the team at EVH having previously worked in many different organisations such as British Rail, SQA, NHS, and various Third Sector organisations, in roles encompassing Administration, Finance & Event Management. 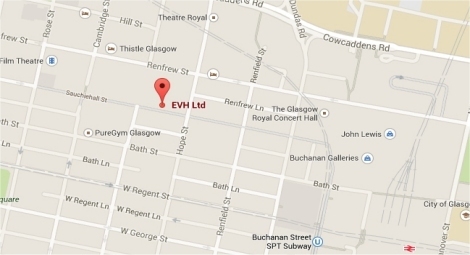 As these responsibilities are wrapped up in one package in his role at EVH, the Finance Assistant/Room Co-ordinator position is an ideal fit. He is a keen musicologist, musician and gardener, Archie and family are quickly settling in to rural life in Ayrshire and is looking forward to sharing the fruits of his labour (fruit and veg, not songs). In 1997 Eamonn needed a job and ended up here, and because he stayed so long he eventually made Director. Before that he spent many years managing public and private hospitals both here and abroad. For a while he was also a senior university official despite never having attended one as a student. In his younger days he worked within construction, entertainment and food distribution. He has an unshakeable belief in Scandinavian models of employment and partnership working. Family, football and formal footwork (dancing) keeps him busy at all other times. Lindsey is one of the newer additions to the EVH team and also the youngest. Thinking she was too young to start a career after graduating University with a Business degree she wanted to be like Peter Pan, travel the world and find her Neverland. Five years ago she landed a HR job within the manufacturing industry and surprisingly enjoyed dealing with people and the varying workload/challenges that arise. Even though Lindsey’s travel plans barely took off, she has now returned to University to study further, facing the harsh reality she had to grow up. Natasha came to join our team in January 2016. 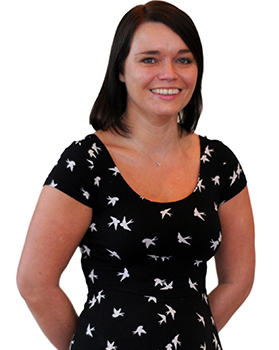 She has a varied past work history including Conveyancing, NHS and the Care Sector. 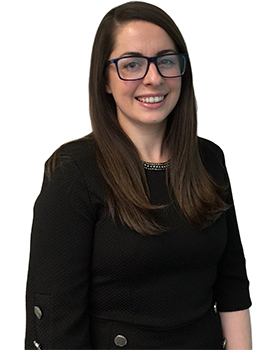 Since starting with EVH, Natasha has completed a CIPD Diploma, Paralegal Certificate and now leads on Business Development and the H&S serivce. She likes to stay active, playing badminton and going to the gym which helps with the calories from the red wine! Lorna has spent the last 14 years working in The Prince and Princess of Wales Hospice, heading up their HR and volunteer services function. Before that she had a short stint in the housing sector and liked it so much that she applied to join EVH as HR Support Manager. Lorna has a great belief in the impact that forward thinking and effective HR practices can have on delivering excellence and looks forward to working with members to support this. In her spare time Lorna loves walking her two west highland terriers and spending time with friends and family. Helen one of our newest recruits worked for 11 years in the busy office of a High School on the southside of Glasgow. Over the years she covered a variety of roles - finance, trip organising, work experience, attendance, vocational, timetabling and much, much more. She left to seek a new challenge and is very much looking forward to making her mark at EVH. She enjoys cooking, decorating, skiing, walking and relaxing in the sun. She also loves weekends away spending time with family and friends. 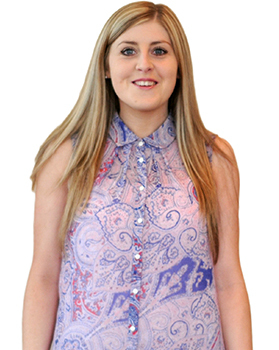 While at University studying Marketing, Geraldine picked HR to fill a gap in her timetable. It turned out she quite liked it, in particular, dealing with people and helping to ensure they were treated fairly and respectfully, so she stuck with it. 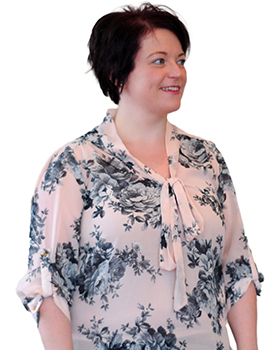 After some time in public sector, aviation and manufacturing, Geraldine found herself at EVH in 2007 as an HR Advisor. Now, with a young family, going jogging, and a fascination of bags and shoes she has enough to keep her occupied but, has a love for things crafty, satisfied only with Pinterest for now.